Step 1 Place a steamer insert into a saucepan, and fill with water to just below the bottom of the steamer. Cover, and bring the water to a boil over high heat. Add the kale, recover, and steam until just tender, 7 to 10 minutes depending on thickness. Step 2 Whisk together the lemon juice, olive oil, garlic, soy sauce, salt, and black pepper in a large bowl. 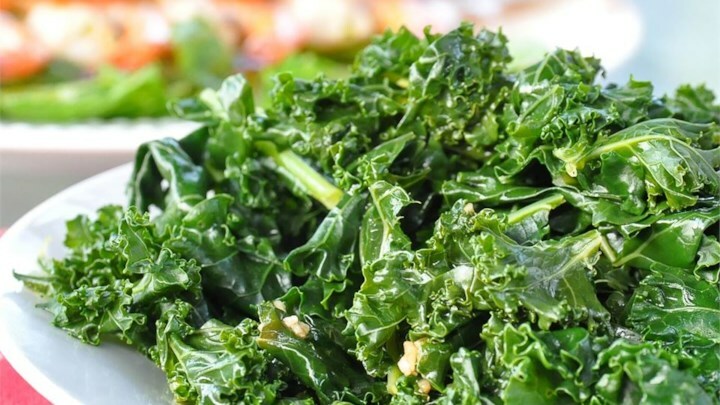 Toss steamed kale into dressing until well coated.